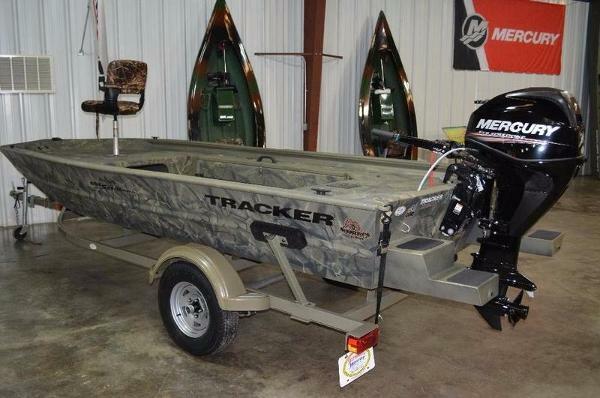 2014 Tracker GRIZZLY 1654 Sportsman, Super clean as new 2014 Tracker 1654 Sportsman Grizzly jon boat. 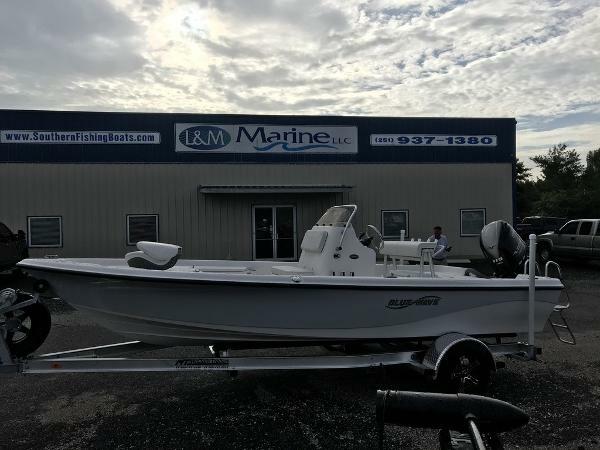 Powered by a 2014 Mercury 25hp four stroke with EFI and electric start. Trailstart trailer with swing away tongue and wheel jack. Woodland series camo paint. One padded fold down fishing seat. Gun box. Rod box. Two fish finders. 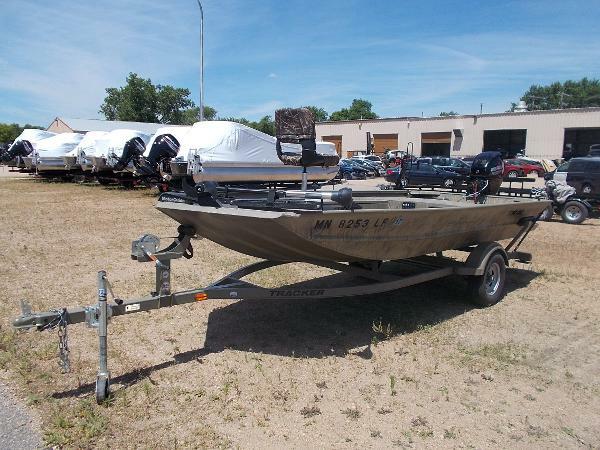 Minn Kota bow mount trolling motor. Super clean and low hours. 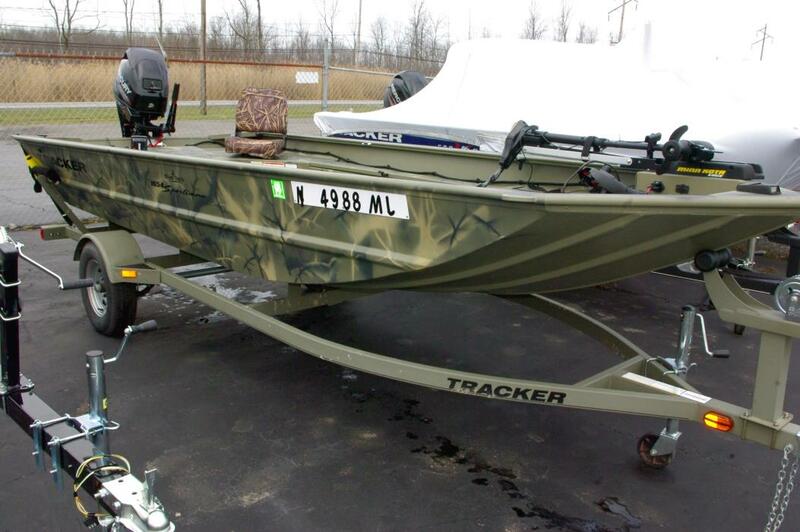 2014 Tracker Grizzly 1654 Sportsman The GRIZZLY® 1654 Sportsman is a unique boat perfect for waterfowl hunting. 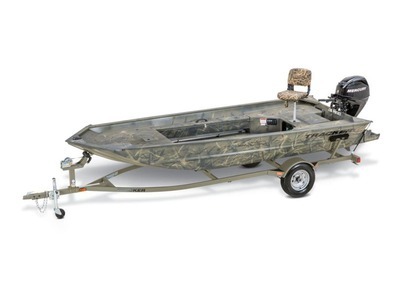 Available in two optional camo schemes to match your hunting area, this boat is also loaded inside with great features. Raised fore and aft decks provide great vantage points while fishing. Both even feature a seat base for setting up the fold-down fishing chair. It also has port and starboard rod boxes that can also be used as gun boxes.Powder-coat process for long-lasting good looksAll-welded .100 5052 marine aluminum alloy hullLongitudinal stringer systemPressed-in chines for strength & tracking stabilityAll-aluminum reinforced transomAluminum floorPowder-coated paint for maximum longevityExclusive VERSATRACK® accessory mounting channel2 pedestal seat bases & angled aft bench seat5-year hull warranty For duck hunting, the VERSATRACK® accessory-mounting system in the gunnels is ready to accept your choice of optional blinds to keep you out of sight of your quarry. Plus, welded-in eyes at the four corners of the deck allow you to install anchor poles to keep your boat solidly in place while you wait! 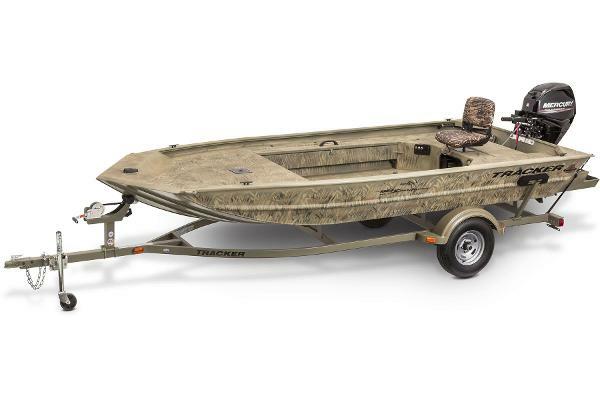 Plus, the 1654 Sportsman sports a Mod V hull for a smoother, drier ride than you would find on a flat bottom boat. And its all-welded hull translates into extreme longevity. 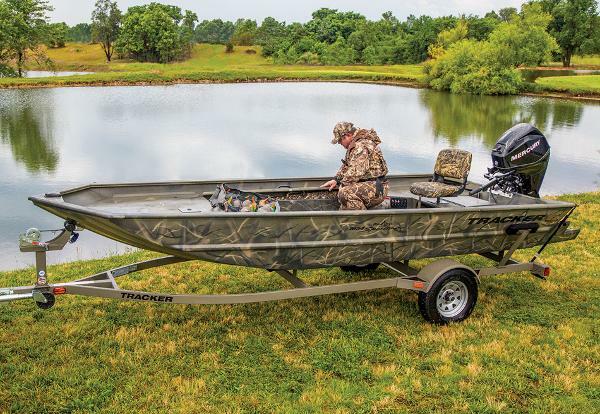 Overall, this is one of the toughest, most versatile and easy-to-maneuver hunting/fishing boats around.